Check here or contact us! Are you looking for a chance to improve your confidence, have some fun and get up on stage? OR looking to further your experience by working backstage on a set? Want a chance to express your technical skills? We hold regular auditions for productions throughout the year. Details will be posted on our website and our Facebook Page. We welcome people of all ages and abilities who share our passion for creating a good show while having a good time. Hope to see you soon. 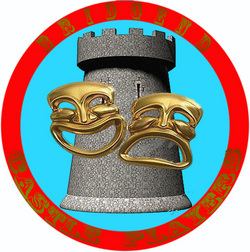 If you would like any more information about Bridgend Castle Players, please use our contact form below or e-mail us direct by clicking on the button below.